What if Jesus really did? Cynicism and skepticism are highly valued in our society. We like empirical evidence so that we can know for certain something actually happened. “And,” we quietly think to ourselves, “there’s no way to prove that Jesus rose from the dead. There’s just no way that actually happened.” So, since we’re convinced there is no way to prove it, we don’t believe it. But, what if Jesus really did? What if Jesus really did live? 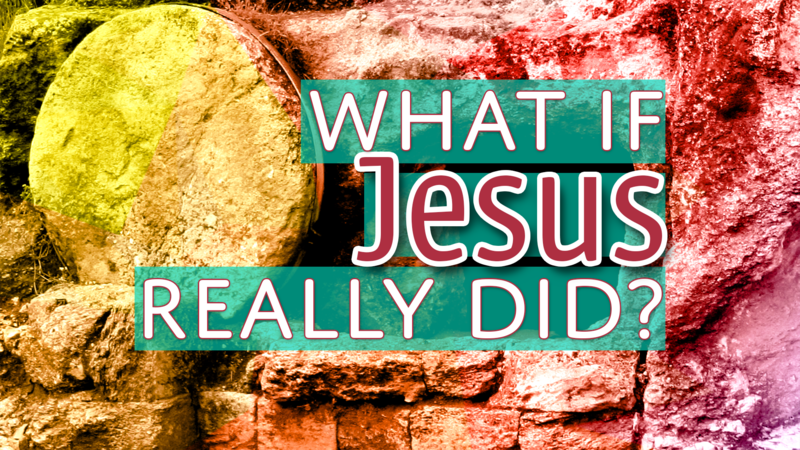 What if Jesus really did die on the cross? What if Jesus really did rise from the dead? What if he really did ascend into heaven? What if he really was who He said He was? What if he really did all that? If he really did all that and he really was who He said He was, what would that mean for what he taught? I mean, if you could see the evidence that this person fulfilled ancient prophecies, if you could see that this person did in fact come back to life and so much more, wouldn’t it give more weight to what he said? Do you know anyone who was executed that came back to life? I don’t. But, if we did, I can almost guarantee we’d listen. And what if that person’s message was a message of life and not condemnation? What if that message was truth & grace and peace & love, joy and hope? Would you listen? Maybe you would. Maybe you wouldn’t.